Daniel and I are getting excited about the Doo Nanny Festival this weekend. 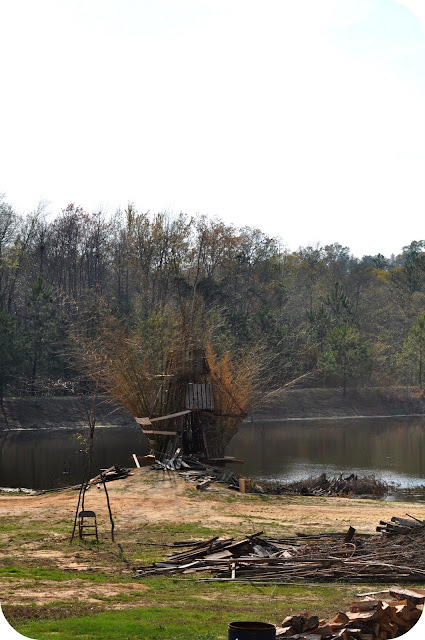 We drove down to Butch Anthony's property earlier this week and got a little preview of the goings on. Whenever I get down about living in Alabama, Daniel reminds me that I get to go to The Doo Nanny in the spring. I've been looking forward to it all year. 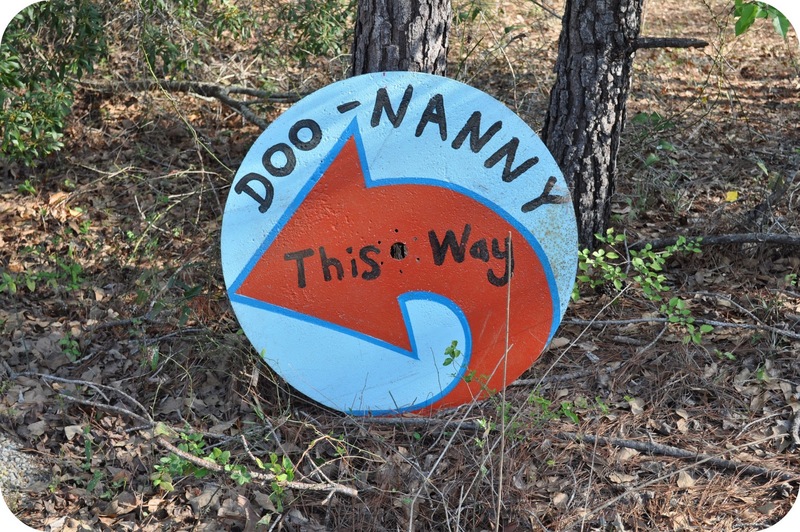 The Doo Nanny is a roadside folk art show. The first Doo Nanny was in 1996 and it featured local artists like Butch Anthony, John Henry Tooney, Buddy Snipes, and potter Ned Berry. It has grown a lot and now includes many artists, a "lo-fi" film festival, food and music. It is located on Butch Anthony's family farm in Seale, AL. What I am most looking forward is Saturday nights Doo Nanny Burn. The tradition is to bring something of meaning to put in the fire. "Something like a note to a loved one who has passed on or a note to yourself about qualities or achievements you would like to draw into your life, a piece of art, clothing, etc." I have big plans to write a love note to my Daddy. I'm also going to put a few "wishes" in there too. Let me know if you would like me to put a wish in for you. You can email it to me and I'll print it up for you. If we are still here in Alabama next year, maybe you would like to go camping with us at The Doo Nanny. Oh, and here's a super cute video that I know you will love. I would be drawn in from the sign that says "This a way." Anything that says that, I have to go to! "This way" is for boring people. Sounds like a fun time with chances for good people watching. I'll send something to throw into the fire for sure. i wish i wish... i could be there... that sounds like so much fun!!! i'm suffering from such a horrible case of cabin fever. i so wish i could have been there. next year! but i'm working on both a wish and a note for my mom to throw into the fire. i'm in love with your photos, btw! have a blast this weekend. What a character, that Butch Anthony. I am glad that you have something that you are looking forward to, that always helps me when I am in a slump. We miss you!